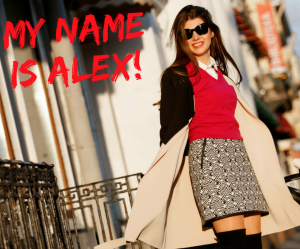 My name is Alex Tachalova, I am an independent marketing consultant, and I run my own online conference Digital Olympus. I’m based out of St. Petersburg, Russia (the second largest city), where I rent a small but cozy office downtown. But there’s a secret. I have never worked with clients from Russia. In this article, I’d like to share how I work with clients remotely, what problems I face and how I manage to solve them. How did I turn into a digital marketing consultant who works with clients from all over the world? Since my early ages, I was fascinated with computers and technology behind them. As a teenager, I was absolutely obsessed with the web. I would never forget the whirring sound old modems made while establishing an internet connection. I built my first website when I was 11. It was based on a very simple constructor-type site that was developed by once an extremely popular search engine narod.ru (mostly dead now, just like Yahoo). I was also widely using Bittorrent, Winamp, ICQ, Adobe Photoshop, Adobe Premier, and Firefox was by far the best browser in my opinion. For the most part, I was using all of these software tools to build lovely clips and collages with my favourite anime heroes, listened to j-pop and j-rock music, and other things that bring back nostalgic memories. Yes, I was really into anime, and some of my friends and I have even participated in a few cosplays and won prizes. Thanks to different online forums, I made friends with people from other countries and practiced communicating in English with them, so that was something cool. I also remember that the last Harry Potter book I read was in English because I had no patience to wait for a Russian version to come out. This is how it all began. I have started to unintentionally create these routes that later on turned into a real career path. During those days, it was a simple combination of English and web user experience. I’ve always had this longing for remote communication, that’s why, unsurprisingly, I ended up finding myself working with clients from all over the world. No wonder the gig economy is booming, with 35 percent of the U.S. workforce having freelanced in 2016. I am definitely not the only one who figured out the way to work remotely. It wasn’t something I have planned for from the very beginning. I think it happened because I’ve spent 6 years working as a business employee at two different companies that have largely established their presence across all of the English speaking markets. Only a small part of their clientele was based in Russia. Both companies interacted frequently with their offices abroad, which set up a certain style of work I now like to use, and I developed particular habits. When I joined SEMrush, all of these practices and routines intensified as I started working more and more frequently with international experts. SEMrush gave me the opportunity to branch out and network with industry experts, try myself as a speaker. This was a kind of investment that helped me before I boarded my own ship and sailed away. Sometimes I wish I had a chance to catch up with my clients and partners somewhere at a pub or a creative space. When I close a big deal, there’s no way for me to come to my client’s office, personally thank them and show them my appreciation. I guess, sometimes it’s important. Besides, there’s no way for me to meet up with a potential client while attending an event here in Russia. So you do need a budget if you want to meet your industry players face to face. The solution: I do my best by attending big events in England and Europe. I have recently visited BrightonSEO where I met with some of my clients, partners and colleagues. I’m talking about challenges that appear due to time difference. I remember when I had an Australian client, I had to be ready to take a call at 6 a.m. Time difference complicates communication because your work hours don’t overlap that much. That gets especially annoying when you really need to solve something quickly, which is practically impossible. Even the smallest issue could take you weeks to solve it. It’s critical to have quick communication channels. They will help you to promptly solve your problems so you don’t have to wait for an email response for days. You also need to specify the time you are available and unavailable to talk. Personally, I keep my schedule flexible and make myself available for a conversation almost any time of the day. Although, if you do not wish to have a business call at 6 a.m. in the morning, make yourself clear. Don’t feel uncomfortable or embarrassed by forwarding your client information about different time zones including your own. Here’s a website I like to use the most. To speed things up a bit, I use instant messengers like Skype or Slack. That’s why I suggest to minimize the use of email in such instances, and get the ball rolling through messenger apps. Unless you do enjoy waiting for an answer for days. When I work with American or European clients, I don’t feel that I need to step out of my comfort zone too often. British clients are the most demanding ones. When I’m doing business in Russian, communication is always very direct and straight-to-the-point. 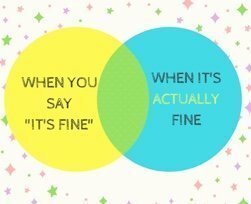 So, sometimes, when a British client says “It’s fine”, I am not always sure how to interpret that. I remember I had a couple of situations when a client was irritated with something for quite a while, but only shared the reason for his frustration when he was nearing a boiling point. Communication can get very confusing. For me, being direct in expressing my thoughts and feelings is natural, but that’s not always how it works in other cultures. Frankly, I stopped working with clients from the UK because the cultural barrier made me really frustrated; the feeling that my client was never satisfied kept haunting me. I invest fully in what I’m doing, so my focus gradually shifted toward the US and other countries. Nobody owes anything. Don’t expect people to remember that Easter (or any other major holiday) you’re celebrating doesn’t coincide with Easter celebrated on the other side of the world. If you’re doing your business internationally, your calendar has to have all kinds of holidays marked on it. There are so many local meet-up events happening across the UK that I’d love to attend but can’t. It would be great to share something interesting with people who are right there in front of you, to see their reactions and witness their emotions. Sadly, it’s also something that I can’t do because it’s too expensive and extremely time consuming. You can’t add more hours to a day. The solution: Thanks to the web, there’s still a way to overcome this issue. Online events and webinars can be a substitute of real speaking gigs. While it isn’t the same, if you struggle like me, you’ll be happy with this option. For instance, there’re a good number of online events from time to time, so you need to follow leading experts on Twitter and LinkedIn to see the speaking activities in which they’re involved. I’ve uncovered a lot of great online events by following Talia Wolf on Twitter. Just find experts who are actively promoting their brands and stay connected with them on SMM channels. I promise you’ll find your next speaking gig easily! You won’t always know what’s going on right away. Expect delays of information. There won’t always be a way to promptly integrate into potentially promising business projects because it has to be the right place and in the right time. In-person meetings once every 6 months do help a little, but it’s not enough to become “one of them”, to fit seamlessly in. That’s why I think, while being physically present in Russia, I can’t always catch the momentum and establish relationships with key industry experts. Once, a company offered me to become their brand ambassador, and at the time I wasn’t aware of the market’s environment, so I thought it wasn’t worth it. This mistake has been haunting me for a while. I feel like this example demonstrates the consequences of making a decision in isolation. The solution: Digital Olympus is, unquestionably, helping me a lot. I also try to stay active in online communities that have different experts in them. For example, I participate in various discussions on Reddit, Facebook, or simply answer questions I receive from the industry beginners. Another option is publishing articles. I have my own column on Moz and SEJ, and a couple more columns on popular sites lined up. By doing so, I am improving my situation and level up my expert’s karma. I’m glad things worked out the way they did. There’s no way I can find myself living in another country. I love St. Petersburg too much to leave it. Besides, Russian culture is the dearest to me, and I do realize that the cultural divide is not a myth. However, I enjoy working with international clients, and learning more about their culture and business environment. And I think I am on the right track! Thanks Alex, very valuable insights. The point you mention at the very end is one I found to be a major challenge for most location independent entrepreneurs: Many of us do live abroad, in countries where we don’t know anyone. The main problem that arises is loneliness and the feeling of being disconnected. It has led a lot of successful digital nomads to quit their lifestyle and return home. What I found to really help in such a situation is scoring a local part-time job, to make friends, learn the language, get familiar with the culture etc. I call the approach the ‘hybrid nomad’, as then you make money both on- and offline. It has helped me stay on the road (and somewhat sane) for 12+ years now. In case you or your audience find this interesting, here is my take on it: https://ceekaiser.com/real-life-lessons/hybrid-nomad. Thanks Alex – keep up the good work!